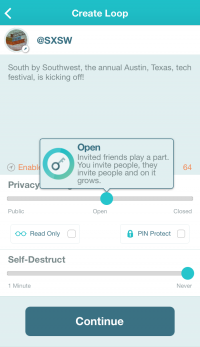 Based in Calabasas, CA and fresh from its SXSW debut and launch party, the new open messaging app onLoop hopes to reshape how we use social media to communicate. There are many social networks out there to share pics or circles of friends, but onLoop’s mission is to engage users and conversations through shared interests within a rich multidimensional messaging app. It has all the typical in-stream functionality to drive conversations including notifications, video play, pics, icons and the like — but it’s the way users are able to control conversations and facilitate new ones that is intriguing. It sort of combines app messaging around the specificity of a topic (called a “loop”) in participatory way that is similar to a user forum. 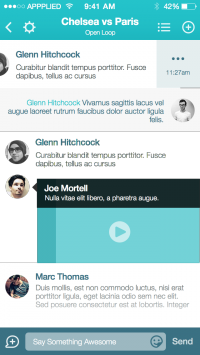 Like a user forum it is easy to discover threads or loops of interest topics and join the conversation. What is unique is how onLoop arms the topic poster with an array of tools to monitor the conversation. The tools allow a user to create topic loops that can be public, open or closed — and geo-location based or not. They can be read-only, pin-protected and/or ephemeral. In Vegas with a group for a bachelor party and want to share as the night progresses, but not for forever? Now you can share in real time in-stream with a specific group and set your thread to self-destruct. Or at SXSW at a panel and have opinions? Share with your friends, create side conversations, decide to go public or private, allow comments or broadcast read-only. Conversations have limitless options for control, inclusion and participation. Worried about privacy? 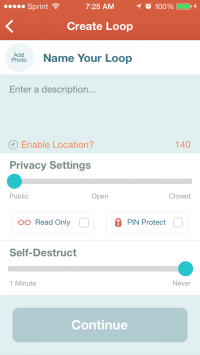 The stack is closed and secure because onLoop is completely self-funded, which means there will not be a scraper app to come by and repost what you thought you destructed. 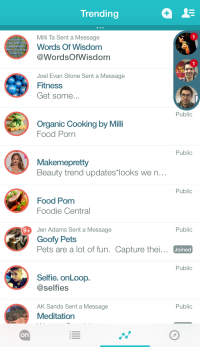 The breadth of tool options extends to the users following a topic, allowing loop followers to create sidebars of private conversations called “sub-loops.” With an elegant UI and an easy-to-use interface users have an amazing variety of controls and options for sharing, messaging and participating in common interests. Founders AK Sands and Jacob Heinz (yes, of the ketchup) got the idea for the app while watching the Super Bowl and messaging various friends in different locations. They wanted that shared experience and the ability to flame each other and have fun while including the group, but also having side conversations. 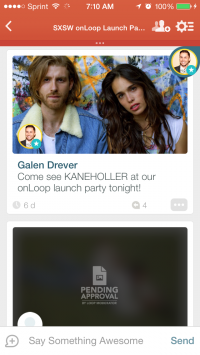 They realized the current social apps were too limiting, so they made onLoop. 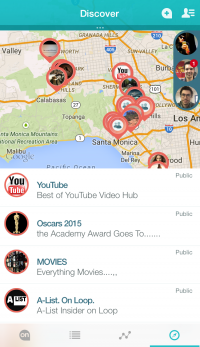 The onLoop app is available now for smartphones on Android and iOS. Click here to download and check it out!